I reviewed this book at Goodreads .You can read it below. 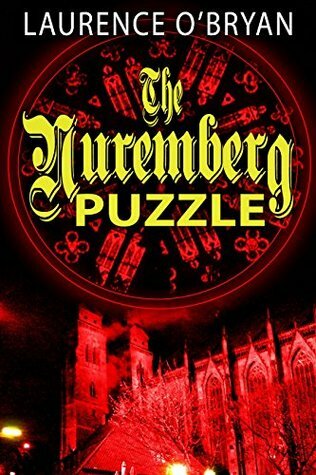 Sean Ryan is in Nuremberg to give a lecture but he is prevented from doing so due to the gruesome murder of Eleni, his former lover. In London, an old couple dies immediately after meeting Isabel, Sean’s wife and passing on information about how Isabel’s grandfather really died. In Freiburg an unnamed African woman is looking for information about Nazi history and is even willing to kill to get what she wants. And somewhere in Germany Doctor Brandt has perfected the pathogen to get rid of refugees flooding Europe. The lives of these people unfold slowly like a puzzle, piece by piece. Every chapter is an event in a series that ties the whole puzzle together yet also unravels it at the end. O’Bryan feeds the reader morsels of information. He carefully removes pieces of the puzzle, brick by brick to reveal the foundation and what it holds much like an archaeologist dusting every stone to reveal the secrets beneath. The story grips you until the end. It’s one of those rare books you find hard to put down and it’s also impossible to skim through as one missed phrase can make you miss out on a whole piece of the puzzle. And through it all you wonder if history is starting to repeat itself? The skill of the writer is evident from the very beginning as he captures and pulls the reader into the thick of the action. The plot is carefully spread out, the lines drawn, the dialogues inserted at the right places. Nothing is left to chance. Not a word out of place. Like a skillful commander gathering his troops before battle, O’Bryan gathers his words to stack them the way he wants on the battlefield of the pages.